Read more about Re: Thousands march on API to "Stop the Frack Attack"
NOTE: You want to do this BEFORE typing anything, otherwise you have to go back and remove control characters! 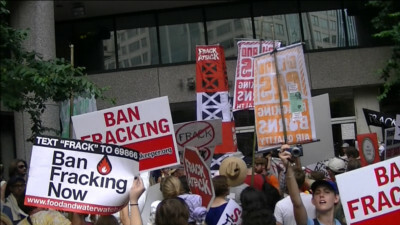 On the 28th of July, thousands of opponents of natural gas fracking marched from the US Capitol to the American Petroleum Institute, with an intermediate stop at the American Natural Gas Association. Audio Report posted elsewhere by WSQT Radio: http://dcimc.alchymedia.com/sites/default/files/audio/H_Stop_The_Frack_Attack_7-28-2012_Radiomix.mp3 (filtered html FAILED, displayed as plain text). Read more about Thousands march on API to "Stop the Frack Attack"